"Pianola" redirects here. For the village in Italy, see Pianola (L'Aquila). For other uses, see Player piano (disambiguation). A player piano (also known as pianola) is a self-playing piano, containing a pneumatic or electro-mechanical mechanism that operates the piano action via pre-programmed music recorded on perforated paper, or in rare instances, metallic rolls, with more modern implementations using MIDI. The rise of the player piano grew with the rise of the mass-produced piano for the home in the late 19th and early 20th century. Sales peaked in 1924, then declined as the improvement in phonograph recordings due to electrical recording methods developed in the mid-1920s. The advent of electrical amplification in home music reproduction via radio in the same period helped cause their eventual decline in popularity, and the stock market crash of 1929 virtually wiped out production. The idea of automatic musical devices can be traced back many centuries, and the use of pinned barrels to operate percussion mechanisms (such as striking bells in a clock) was perfected long before the invention of the piano. These devices were later extended to operate musical boxes, which contain a set of tuned metal teeth plucked by the player mechanism. An early musical instrument to be automated was the organ, which is comparatively easy to operate automatically. 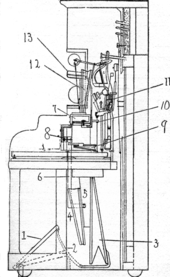 The power for the notes is provided by air from a bellows system, and the organist or player device only has to operate a valve to control the available air. The playing task is ideally performed by a pinned barrel, and the art of barrel organs was well advanced by the mid-18th century. Early barrel pianos moved the hammer back and forwards continuously as the operator turned the handle, but the hammers did not strike the strings until moved slightly forwards by a pin in the barrel. The hammers hit repeatedly until the pin was removed. This played the note, but at a fixed dynamic and with a tremolo action quite unlike a pianist. In 1847, Alexander Bain described a device that used a paper roll as a 'travelling valve' that allowed air to flow through the reeds of a reed organ. Simple reed and pipe organs using this sort of system are still being produced. However, the air flow is not sufficient to drive a piano mechanism. In 1848 Charles Dawson of England described a more complex travelling valve device which added little to Bain's. Huge sums were spent: by 1903, the Aeolian Company had more than 9,000 roll titles in their catalog, adding 200 titles per month. Many companies' catalogs ran to thousands of rolls, mainly of light, religious or classical music. Ragtime music did feature, but not commonly: in this period, the player was being sold on its artistic capabilities to rich buyers. A new full-scale roll format, playing all 88 notes, was agreed at an industry conference in Buffalo in 1908, the so-called Buffalo Convention. This kept the 11¼-inch roll, but now had smaller holes spaced at 9 to the inch. Any player made anywhere in the world could now play any make of roll. Understanding the need for compatibility was the defining moment of the player industry. The consensus was key to avoiding a costly format war, which plagued almost every other form of entertainment media that followed roll music. 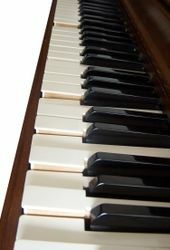 Hand-played rolls introduced musical phrasing into the rolls, so that player pianists did not have to introduce it through the use of tempo controls – something that few owners ever felt much inclination to do. The technical advances of the 1920s were instead largely in radio technology. The key development there was the introduction of amplification, so that it was possible to sit around the radio and listen as a family, unlike the earlier crystal sets which required the use of headphones. Amplification was also applied to the recording of 78 rpm records, the electrical recording systems introduced around 1925 allowing a major rise in sound quality. Radio and these new records rapidly eroded the market for the player piano, and it was declining from the mid-1920s onwards. Novel attempts to combine the appeal of the player piano and its new rivals were made by building radios and/or phonographs into player pianos themselves, but even this could not entice the public to continue buying player pianos. When the Wall Street crash came in October 1929, the player piano was already in a very weak position, and sales effectively ceased. Only a few well-capitalized companies continued in business after this. Many of these companies were the result of consolidation throughout the 1920s, which had already seen the loss of most names, particularly in the roll-making field. During this period player piano pneumatic technology was used as the basis for the aircraft training simulators by inventor Edwin Albert Link. This device, powered by suction and bellows, moved realistically in response to a pilot's operation of the controls. Link developed the flight simulator in his father's Binghamton, New York factory, which made coin-operated pianos for commercial establishments and movie theater pipe organs. The Link Company commercialized the device in 1929. A British equivalent was the Silloth trainer, based on Duo-Art technology. Electronic descendants of these devices are now widespread. A few companies struggled on through the 1930s. In 1931 Aeolian purchased the American Piano Company, makers of the Ampico. To bring capital to the business, they sold off all their overseas assets, so the large piano factory at Hayes was closed and sold with one month's notice, to the Gramophone Company, also based in the town. The joint Aeolian-American operation stopped making new classical rolls and concentrated on popular material, and the final new rolls were issued in the late 1930s. Other than QRS, the end of the 1930s had seen the end of the player piano era. The lingering roll production in England finally ceased in 1941 when paper rationing made it impossible to continue. The Aeolian Duo-Art recording machinery was destroyed by bombing during World War II, as was the Welte factory in Freiburg. However, the immediate aftermath of the war saw the growth of interest in this lost era. Richard Simonton purchased the surviving Welte-Mignon rolls from Edwin Welte, and the first disc recordings were made of the performances. The enthusiast era had, tentatively, begun. Other societies worldwide were formed to preserve and study all aspects of mechanical music, such as the Musical Box Society International (MBSI) and the Automatic Musical Instruments Collector's Association (AMICA) in the USA. In recent years, there has been greater focus on full rebuilding as original instruments finally stop working. Early enthusiasts could often get by with limited patching, but the repair requirements have slowly risen, although even to this day it is possible to find original 1920s instruments that still work after a fashion – a tribute to their quality, and an indication of their continued popularity. Music rolls for pneumatic player pianos, often known as piano rolls, consist of a continuous sheet of paper rolled on to a spool. The spool fits into the player piano spool box whereupon the free end of the music sheet is hooked onto the take-up spool which will unwind the roll at an even pace across the reading mechanism (the "tracker bar") The music score to be played is programmed onto the paper by means of perforations. Different player systems have different perforation sizes, channel layouts and spool fittings though the majority conform to one or two predominant formats latterly adopted as the industry standard. Roll scanning itself is not of major significance – it simply adds optical technology to the pneumatic, electrical and mechanical technologies previously used to extract data from perforated paper. The ability to store the extracted data on electronic media marked the start of the modern era of scanning, but did little more than act as a substitute for the paper roll. The most familiar such system is the Marantz Pianocorder, but at least two systems were produced, by Wayne Stahnke and Peter Phillips, to operate pneumatic pianos. Later developments of the reproducing piano include the use of magnetic tape and floppy disks, rather than piano rolls, to record and play back the music; and, in the case of one instrument made by Bösendorfer, computer assisted playback. In 1982, Yamaha Corporation introduced the "Piano Player", which was the first mass-produced, commercially available reproducing piano that was capable of digitally capturing and reproducing a piano performance using floppy disk as a storage medium. The Piano Player was replaced in 1987 by the Yamaha Disklavier and since 1998, the Disklavier PRO models are capable of capturing and reproducing "high-resolution" piano performances of up to 1024 velocity levels and 256 increments of positional pedaling using Yamaha's proprietary XP (Extended Precision) MIDI specification. A player piano is neither an electric piano, electronic piano, nor a digital piano. The distinction between these instruments lies in the way sounds are produced. A player piano is an acoustic piano where the sound is produced by hammer strikes on the piano strings. Electrical or electronic components are limited to moving the keys or hammers mimicking the actions of a person; no sound is produced from electrically amplified audio. ^ Russell Sanjek (28 July 1988). American Popular Music and Its Business: The First Four Hundred Years, Volume III: From 1900-1984. 3. Oxford University Press. p. 29. ISBN 978-0-19-802127-8. OCLC 300414899. ^ Sommer, Mark (3 January 2009). "The day the music died: QRS has ended production of player-piano rolls". The Buffalo News. Retrieved 12 September 2010. ^ "Development of Products - About Us - Yamaha Corporation". www.yamaha.com. ^ Litterst, George F. "Anatomy of a Disklavier". The Disklavier Education Network. ^ Quito, Anne. "Steinway just released an iPad-controlled piano". Wikimedia Commons has media related to Player pianos. 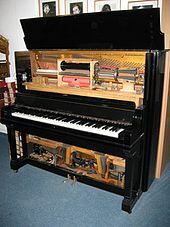 Look up player piano in Wiktionary, the free dictionary. This page was last edited on 28 March 2019, at 16:42 (UTC).